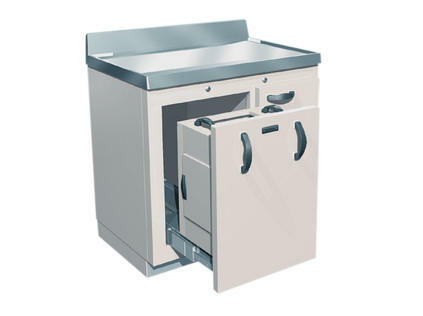 Larger generator drawer will accommodate the Mallinckrodt Generator with Elution Shield. 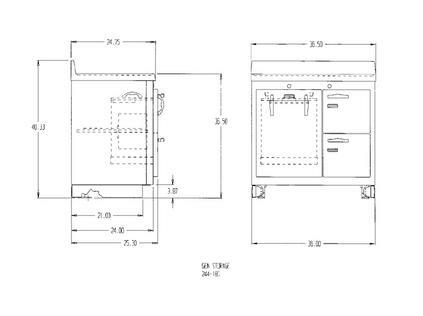 The Generator and Storage Cabinet provides hot lab radiation protection without hampering the elution process. The left drawer accommodates top or side loading generators. In addition to the .5" or 1" lead shielding in front, the drawer has .25" lead shielding on the remaining three sides and bottom. A removable drawer top allows generator replacement. Trap doors on the top and sides of this drawer provide safe access to the generator. The cabinet has two shielded compartments on the right side for storing decaying generators prior to disposal.